All Saints' Church Northampton - WHERE ARE THEY NOW? DANIEL TURNER (Tenor), held an Organ Scholarship at All Saints before being awarded an Organ Scholarship to study at The Queen’s College, Oxford. 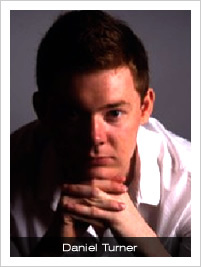 Following graduation from Oxford, Daniel has sung as both a solo and consort artist all over the world. He can be heard on Monday 18 March year at the Barnes Music Festival, in their ‘Holst & Exoticism’ Lecture Recital where he will be accompanied by the renowned pianist Graham Johnson, as they explore pieces illustrating Holst’s interest in the exotic. Throughout his life Holst had a great interest for the exotic, and this had a direct effect on his composing. Demonstrating his versatility, the following day (Tuesday 19 March), Daniel will join Christabel Gairdner in a selection of piano duets, again including works by Holst. 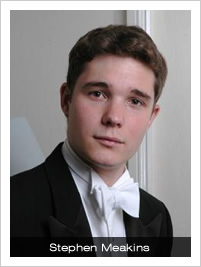 RICHARD PINEL (Organist) is currently Assistant Director of Music at St George’s Chapel, Windsor Castle. Prior to his appointment in 2009, he held similar posts at Magdalen College, Oxford and Perth Cathedral, Australia and the organ scholarship of St Albans Cathedral. In October 2012, Richard won first prize and the special prize at the 2012 Breda International Organ Competition in the Netherlands. KATHERINE CROMPTON (Soprano) was a founder member of the girls’ choir at All Saints, eventually rising to Head Chorister. Katy studied for her BMus (Hons) at the Guildhall School of Music and Drama, followed by an Integrated Masters in Vocal Performance at the Royal College of Music. Currently in her second year of the International Opera School at the RCM, Katy is fast establishing herself as one of the most promising young sopranos of her generation, and can next be heard in Northampton on Saturday 27 April, when she performs as the soprano soloist in Ralph Vaughan William’s great Sea Symphony, with the Northampton Bach Choir, conducted by our own Lee Dunleavy. will be devoted in his centenary year to the work of Benjamin Britten. Katy will be accompanied by STEPHEN MEAKINS, who also accompanies the Northampton Bach Choir. Former Organ Scholar at All Saints, Stephen was for one year Organ Scholar at St Paul’s Cathedral, Melbourne, Australia, before studying at the Royal College of Music where he was awarded several extremely prestigious prizes and is now one of the UK’s busiest young accompanists. SOPHIE GALPIN (Soprano & violinist) is currently touring the UK with her band, My First Tooth. Clocking up over 200 shows in the UK and Ireland in their first year, in April 2009 the band released My First Tooth & The Rubies EP on Alcopop Records to considerable critical acclaim. Several more recordings followed, including the band’s debut album, Territories, in October 2010. They have received airplay from BBC Radio 1, 4, 6, XFM and Absolute Radio, culminating in an XFM X-posure session. 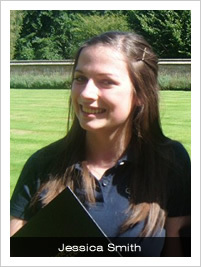 JESSICA SMITH (Soprano) left All Saints in 2010, to study for her BMus at Royal Holloway, University of London. She was the soprano soloist on the most recent CD released by the Girls’ Choir of All Saints, Notre Père, and she was recently awarded a coveted place in Genesis Sixteen, the training programme for young choral singers of exceptional musical ability, run by the world-renowned choir The Sixteen and directed by Harry Christophers. DANIEL WYMAN (Bass) and ROBERT TILSON (Tenor) are in the second year at Birmingham Conservatoire, studying for the BMus in Vocal Studies. In September they will be joined by one of current Choral Scholar ALISTAIR DONAGUE (Bass).